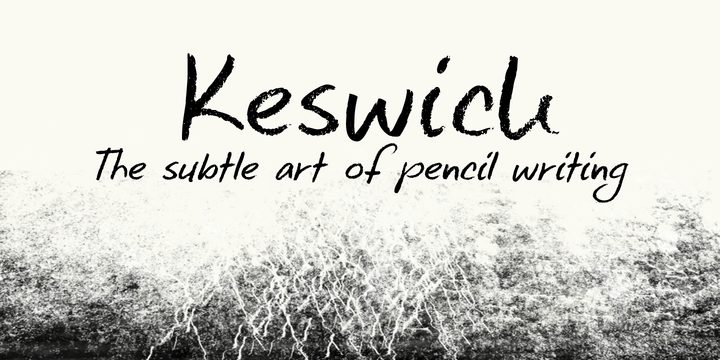 Keswick is a typeface created by David Kerkhoff and published by Hanoded that is an handwritten font created using a 6B pencil. Enjoy! A font description published on Thursday, August 8th, 2013 in Fonts, Hanoded by Alexandra that has 3,009 views.